According to health officials, the number of suspected and confirmed cases of chikungunya virus in Caribbean countries has risen sharply over past weeks. Tens of thousands of new cases have been reported in the Dominican Republic and its neighbor, Haiti. There is currently no vaccine or treatment for the mosquito-borne virus which resembles dengue fever and can cause fever, skin rash and joint pain. European health authorities have warned travelers to take extra precautions. 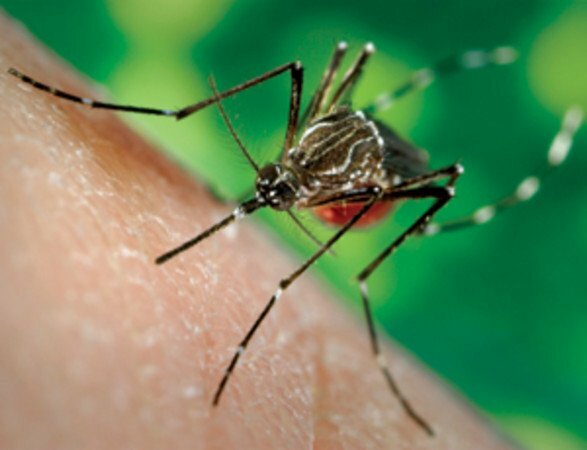 The European Centre for Disease Prevention and Control told people travelling to the Caribbean to apply insect repellent and avoid mosquito bites. France has detected more than 70 imported cases of chikungunya, mainly in people returning from holidays in the French Antilles. The Centre said there was a risk the virus could spread in Europe if infected patients were bitten by mosquitoes upon their return home and those mosquitoes then infected other people. There are also signs chikungunya is spreading further to Central and South America. According to the latest figures released by the Pan American Heath Organization (PAHO), almost 265,000 suspected and confirmed cases have been recorded since the outbreak began in December. More than half of those have been in the Dominican Republic, which has stepped up its fumigation efforts in an attempt to reduce the number of mosquitoes. Health officials warn that the true numbers may be much higher as some countries have been slow in testing and reporting cases. Chikungunya is rarely fatal but according to the PAHO, 21 people have died in the Caribbean after contracting the virus. There have also been cases in Central America, with El Salvador the hardest hit with 1,300 suspected incidences. Paraguay recorded its first citizen with the virus on Tuesday, but said the man had contracted it while travelling in the Dominican Republic.